What is something your garrulous old Uncle hasn't talked about in quite a spell, muchachos? Astronomy clubs. As those of y’all who've been here a while know, Unk is a big supporter of organized amateur astronomy. What you sprouts raised in the Internet age may not know, however, is there are still mucho reasons for you to belong to a non-virtual club. “But Unk, but Unk, the Cloudy Nights BBS (or Astromart or the Astronomy Forums or Ice in Space) is just like belonging to a club, a club with thousands of members. One whose meeting is in session 24/7. Why would I want to jine-up with that astro-club that meets in the smelly old backroom of Wally’s Filling Station?” Well, Skeezix, maybe the place to start in cluing you in as to the reasons for holding your nose and heading down to Wally’s is to give a quick rundown of my five decades of experience with clubs. Looking back, I reckon I’ve been a member of…oh…four-five astronomy clubs in my five decades of observing. That began with my first club, which we members didn’t think was a real astronomy club at all, but was—was it ever. I’m talking about the legendary Backyard Astronomy Society formed by Unk and a few of his nerdy buddies in our junior high years. We BASers occasionally had delusions of grandeur, like the time we talked about mailing that holy of holies, Sky & Telescope, a detailed report on our activities for use in the old “Amateur Astronomers” column. We also planned to send in a blurb to the newspaper, The Possum Swamp Register and Birdcage Liner, making our presence and meeting schedule known to the community at large. Soon we’d have a hundred members. Then we’d be a real club. We never quite got up the gumption to do either of those things, or even post a flier at the public library. What we did do was get together, mostly in the summertime, but on weekends throughout the school year, too, to observe from members’ backyards and vacant lots or just hang out and talk astronomy and analyze the latest issue of Sky & Telescope (and maybe the latest issue of the Fantastic Four’s comic magazine, too). Our star parties were somewhat constrained by the need to enlist our mamas and daddies for transport duty. Purty dern hard to tote a Palomar Junior around on a bicycle. Nevertheless, we did a lot of observing over the four years the BAS was active. Me and my good buddies Wayne Lee and Lamar formed the core group, which occasionally expanded to seven or eight “astronomers.” That was purty much the height, and as tenth grade began, the BAS star parties became fewer and farther between as our ranks shrunk as parents moved away in the wake of Brookley Air Force Base’s closure. There was also considerable natural attrition as girls and cars began to work their way into the consciousnesses of even us nerds. Till that happened, though, what fun we had! Assembled in somebody’s backyard, we would usually have at least four scopes cranking. My Pal Junior was the aperture king till Lamar and his daddy fabricated their very own 6-inch from a mirror kit they ordered from Jaegers. At first I was miffed at not having the big gun anymore, but I got over that. I could now observe with a six-inch reflector regularly, and toward the end of the BAS’ existence, Lamar and his old man even showed me the ropes of mirror making. It didn’t matter if we were observing with the Pal and the Big Six, or just a couple of 60mm refractors and Unk’s old 3-inch Tasco Newt, which was what I had when the BAS began. What mattered was that we were observing together and that was more fun and more productive than observing alone. Group observing was more productive for me not just because I didn’t have to fear the depredations of the dadgum Wolfman and the UFOnauts when I was with my friends. It was because we helped each other. Like the night I went after the doggone Blinking Planetary in Cygnus for the first time. The books said it was bright and obvious, but danged if I could find it. If I had been by myself, I’d just have given up and moved on. But Wayne Lee had looked at it before and showed me how to track it down. Our individual skills and knowledge might have been pitiful, but by working together we saw a hell of a lot and learned a hell of a lot. And so it went till the good ol’ BAS slowly faded out of existence. It was maybe the greatest astronomy club I ever belonged to, just like maybe the Palomar Junior was maybe the greatest telescope I ever owned. I’ve had “better” scopes and been a member of “better” clubs over the intervening five decades, but nothing has ever quite equaled those long ago summer nights in the backyard with my Pal and my pals. After the BAS dissolved completely, probably late in our junior year of high school, Unk was clubless for a long time. I pushed on observing, of course, but I missed having somebody to talk shop with astronomy-wise. Most of all, I missed observing with my friends. Alas, there was no astronomy club at either of the universities I attended. I didn’t join my first (adult) club till the mid 1970s when I was in the Air Force and stationed in Little Rock, Arkansas. There was a vibrant club there, and after a while, it was near about as much fun as the BAS. 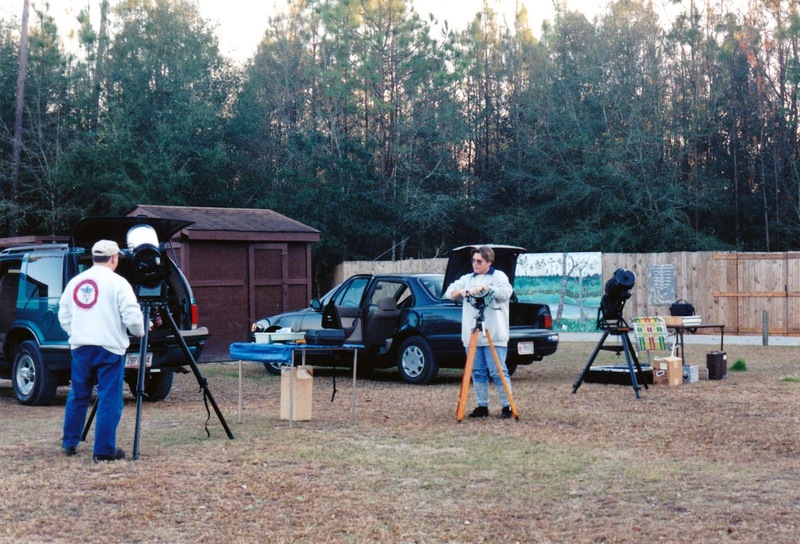 Several moves and a couple more clubs later, I wound up with the vaunted Possum Swamp Astronomical Society, whose ranks I’ve been part of for over twenty years. Whether the BAS or the PSAS, the joys of and motivations for club membership have always been the same for me: camaraderie and the sharing of knowledge and skills. And, in the average adult club, there are some pluses that go beyond even those things. One biggie for many boys and girls is that just about every astronomy club worth its salt has a dark site for group observing. In the BAS years, that wasn't important. Even if we’d had a dark site and a way to get to and from it, we didn’t need it. Our suburban skies were almost as good as the average suburban-country transition zone club site today. But with the growth of all them subdivisions and shopping malls from the 60s till now, today most of us need something better than the backyard for our serious work. If you have a nice little piece of land out in the dark countryside, bully for you. Few of us do. What makes a club important here is that it is way easier to find a dark site as a group. With a sizable membership, it’s likely somebody knows somebody with dark country land. It’s also easier to get permission to use a site as an organized group than as an individual—unless you have a close friend with a country place, which, again, most of us don’t. Observing as a group at a dark site is also good for security's sake. Not because of the Mothman or the Skunk Ape (necessarily), but because of the very real presence of bad guys in the hinterlands due to the meth trade. Another reason to belong to a club, and an important one these days, is that it gives you an organization and sometimes a venue for doing public outreach. Yeah, I know that isn't everybody’s cup of tea, but most of us realize the importance of bringing new folks into our slightly graying avocation. 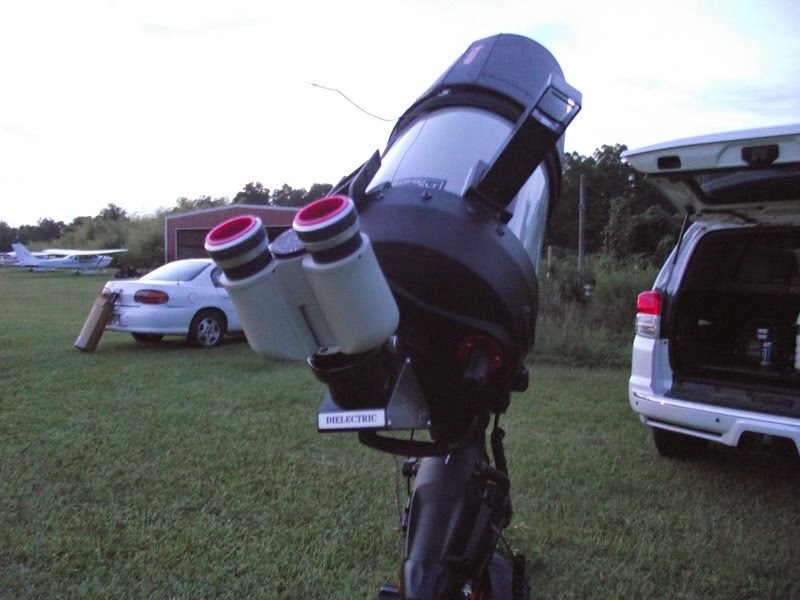 NO, I don’t think amateur astronomy is doomed to disappear as us Baby Boomers do the big chill, but there is no question it’s a Good Thing to bring new folks into the hobby. Not just kids, but groups that have traditionally been under-served by us—women and minorities. Just as when searching for a dark site, outreach is easier to do in the context of an organized group. The schools, for example, might be happy enough to have the help of a lone amateur, but a group of ten, twenty, or more amateur astronomers will be better. A single amateur can make a difference, but a group, showing the sky to a hundred or a thousand kids and parents will make a bigger difference. Finally, there is that comradery factor. Yeah, it is cool to be able to log onto Astromart and participate in the forums, but I believe it is still more fun to interact with your fellow amateurs in person. And if you need help, a non-virtual club is a better way to get it. Folks can have Newtonian collimation, for example, explained to them a million times on the dadgum Cloudy Nights and still not get it, but will learn it easily from one hands-on session down to the club. There are also the ineffables, the things not strictly related to the astronomy club that nevertheless enhance your amateur astronomy experience. A couple of clubs I’ve belonged to and visited have held a Meeting after the Meeting. Once the formalities wind up, you and your mates adjourn to the nearby bar or—maybe even better—one of the family-oriented grills and bars like Applebee’s or TGI Friday’s to have some drinks and snacks and talk astronomy and who-knows-what-else for a couple of hours. To tell you the truth, some of my best observing ideas have come out of these ale-fueled bull sessions. Possibly the best thing about belonging to a club, though? Again, you make friends, friends with the same magnificent obsession for the Great Out There you have. Sometimes, lifelong friends. After a couple of meetings, you’ll find yourself giving one of your fellow club members a ring to ask about that new eyepiece. Your conversations will soon range farther afield, beyond amateur astronomy, and you’ll start spending time with your friend outside meetings. I know that this one thing has made astronomy club membership, which has its headaches as well as joys, one of the best parts of my life. I used to wonder why people who had no interest in practicing astronomy would go to astronomy club meetings month after month after month. In fact, it used to bother the heck out of me. No more. I finally realized an astronomy club is serving some kind of need for these people, and that they are indeed practicing and enjoying our avocation in their own way. They sometimes make me scratch my head, but they don’t bother me anymore. In fact, some of these “armchair astronomers,” if we may call them that, can be real assets. Linda Sue will never be found lugging a scope onto a dark observing field, even if she happens to own one. She can’t help you with picking a new eyepiece, either. But she has a talent for organization and can get the club’s Christmas banquet on the rails right away. Cousin Ezra over there believes Immanuel Velikovsky was 100% correct about them colliding worlds, but he is also a skilled machinist who can make a no-longer-produced part for your telescope mount in a right quick hurry. And so it goes. Don’t underestimate someone’s worth to your club just because they haven’t memorized Suiter's book on star testing. No matter who contributes what, you will eventually find your club entering the doldrums. I am convinced that happens to all clubs. Leastways it’s happened to all those I’ve belonged to and all those I’ve heard tell of. Even big, wealthy clubs in large cities have periods when they are more active and periods when they are less active. Our PSAS has ascended to highs of 15 or even 20 active members (right good for a small city that ain’t exactly scientifically oriented), and descended to lows of four or five lonely souls. I used to believe a crisis was upon us during these declines, but I’ve come to believe that is just the natural ebb and flow of a club. There is always a core group that keeps a club alive year after year, but other members come and go. Some move away. Others find astronomy ain’t as much fun as they thought it would be (usually, these folks have discovered some work is involved). 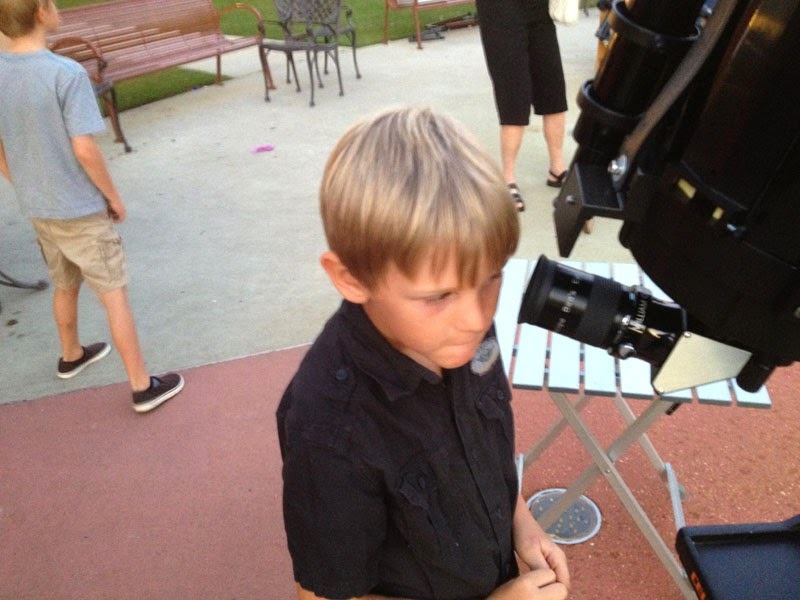 In other cases, especially, unfortunately, with that much to be desired twenty – thirty something demographic, family/kid commitments get in the way of amateur astronomy for a while. While some of these dips are unavoidable, you don’t do yourself any favors when it comes to retaining members by allowing the club to get into a rut. An example? Years ago, the PSAS got into just such a rut. A deep one. Membership was down. Meetings were a real bore. Nobody outside the poor put-upon officers contributed anything to them. The rank and file sat like zombies listening to the Treasurer’s Report and hoping and expecting to be entertained. My friend and fellow member, Marvin Uphaus, had an idea: we’d have a member do a presentation each month, a talk on one of the constellations currently well placed for observing. “Marvin’s constellations,” as we came to call the monthly presentations after Marv's untimely death, worked great. Every month a different member would be called upon to present a constellation. At first, we had to use a bit of gentle persuasion, but before long, we all got into the swing of things and pitched in. Every member did something once in a while. Nobody got back into the passive, “entertain me” mode. When the evening’s constellation finally wrapped up, I allowed as how maybe, just maybe, we should broaden up the presentations. Certainly, it would be OK for someone excited about a constellation and its stars and deep sky objects to do a talk on it. But I thought that should no longer be required. Any subject would be welcome as long as it stuck with amateur astronomy, or at least the science of astronomy (we once had an unpleasant episode with a Creationist who tried to convince us Dinosaurs and men coexisted, just like on the doggone Flintstones). Everybody seemed relieved that we’d no longer be yoked to the constellations. We may revisit Marvin’s Constellations it in the future, however. It was a good idea; we just fell asleep at the switch with it. Too much of the same-old, same-old is, well, too much. After years of the constellations, we were beginning to drive off members out of sheer boredom rather than involve them. Other than letting your meetings get into a rut, what is bad? Endless Treasurers’ Reports and microscopically detailed minutes from the previous meeting. Yes, you need to give due attention to those things, but don’t make it into Chinese water torture: “Following the call for new business, Joe Schmoe excused himself to visit the little astronomers’ room, Judy Blue Eyes blew her nose, and Elmer dropped his pencil…then…” Use some common sense, ya’ll. One thing that will destroy any club in short order? Feudin’ and fussin’. There will always be disagreements about the club and its direction. Disagreements between members, between officers, and between officers and members. It is up to your club’s leadership not to let them get out of hand. When controversy arises, like the ever popular, “What the hail do we get out of the dadgum Astronomical League; why should we send ‘em all that money?” and threatens to escalate into something more than discussion, the person running the meeting has to keep the lid on. And do that without appearing to dismiss either side. One way of doing so is to form a committee to study and report on the issue, taking pains to see both sides are represented by clear and cool-headed members. I’ve seen all too many clubs, large and small, fail because nobody knew how to keep the peace. Once you’ve got a good club going, believe you me, muchachos, you will want to keep it going. You’ll discover the club has become much more than a monthly ritual. Your fellow members have begun to seem like, yeah, family. Not a club member? Time’s a wasting: go rat-cheer and purty soon you’ll find yourself arguing about the League and the price of a good telescope with the rest of us—and having one hell of a time doing it. Good reading as usual, and great advice. 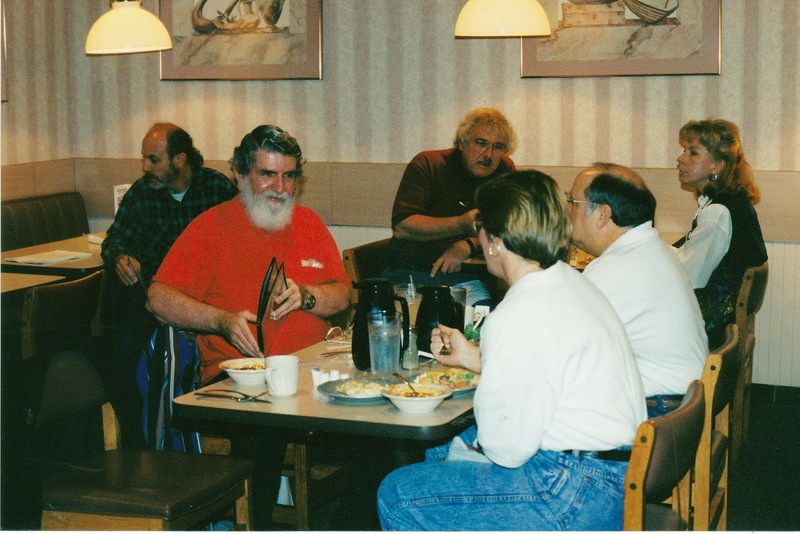 I started out with a humongous astronomy club in 2000, the Orange County Astronomers. I was very active, even serving two years as a trustee on the board until I quit after a move in 2008. I downsized to the smaller South Bay Astronomical Society in Torrance, and no after a further move into the West Los Angeles VA Hospital, I found that the Santa Monica Amateur Astronomy Club is within two mile of the VA campus. I would agree that club membership is much better than going it alone. My knowledge base of amateur astronomy grew after becoming a club member. Good reading and advice to astro clubs. I had a small group in high school I observed with. Never a formal club. Thanks for reminding me about those great nights under dark skies with knowledgable good friends. 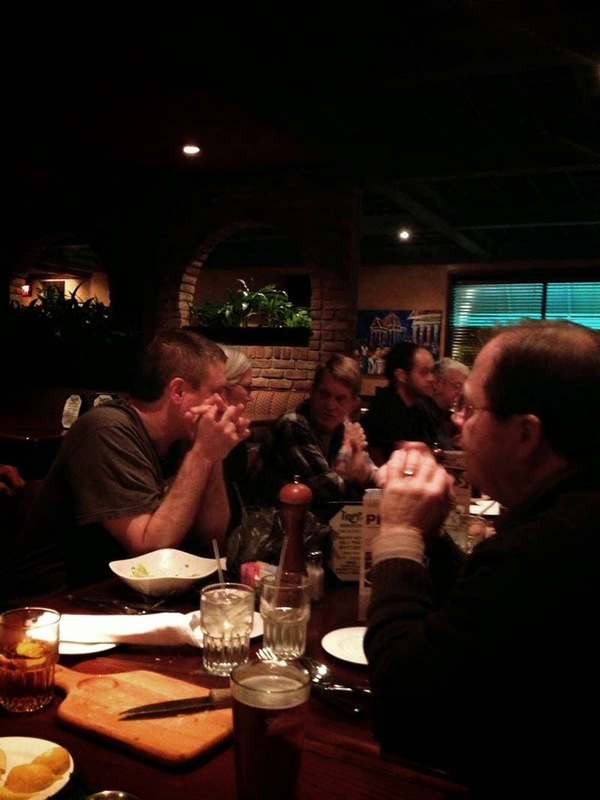 Now I enjoy our meetings and star party outings with friends here with the Albany Area Amateur Astonomers.